On April 15, 2015, the Rev. Dr. Kenneth J. Foreman died peacefully at his son's home in Black Mountain, NC. 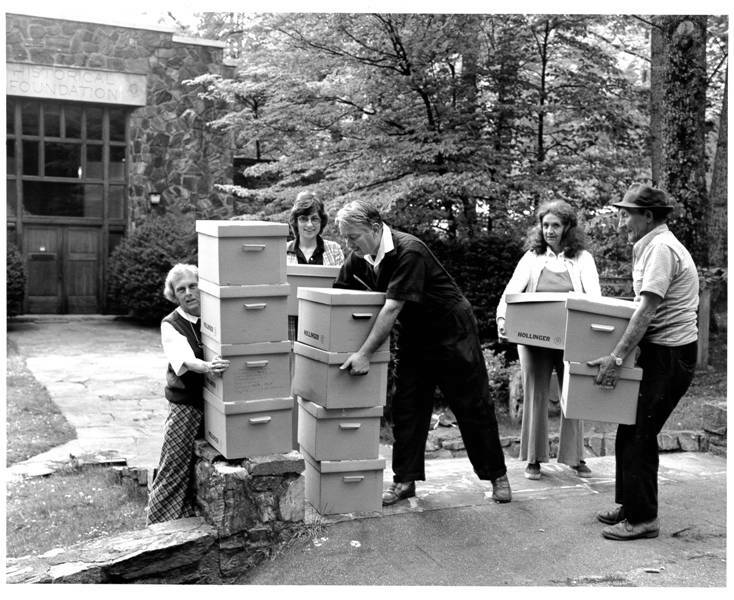 Below, Virginia F. Rainey, author of Stewards of Our Heritage: A History of the Presbyterian Historical Society , remembers Dr. Foreman's service to the Historical Foundation in Montreat, N.C., where he was director for ten years. You can read Reverend Foreman's complete obituary here . He seized the opportunity offered by the Presbyterian Church in the United States General Assembly’s restructure to write into the restructure mandate a requirement to deposit records of denominational agencies, who had previously only made optional, voluntary contributions. He coaxed documents out of reluctant agencies, or in his own words, “lassoed the biggest haul of source material in Southern Presbyterian history.” He had a passion for the complete record and mistrust of records management. “If you are an executor or heir, you should never try to ‘weed out’ materials of little or no historic interest….What the historian prays for is the entire body of a man’s records, files, papers…however humble. Two hundred years later, they are the clearest window into the everyday Christian life of a past age.” Although his persuasive efforts literally filled the building to overflowing (he compared the working conditions to a submarine, for archivists were walking through 10-foot-high stacks of boxes), Foreman is remembered for “his building of an effective staff, his maintenance of high morale and harmonious working relations among staff members, his careful and constant protection of the property of the Foundation, and his extraordinary courtesies accorded to visiting scholars. That the record of the national Presbyterian Church in the South survives and is accessible today is the work of his hands. “Living History: Historical Foundation News,” October 1972, p. 2. Kenneth Foreman to T. L. S. Katzenmier letter, January 26, 1972. Foreman, “Historical Foundation News,” August 1978, p. 3. “Records management,” Foreman, Historical Foundation News, May 1977, p. 1. Submarine reference, Foreman, Board of Directors Minutes, August 12, 1975, p. 37. Evaluation, Foreman, Board of Directors Minutes, August 18, 1976, pp. 29-30.